At Ja‐Co Welding & Consulting Ltd., we strive to provide the steel fabrication industry with quality products. 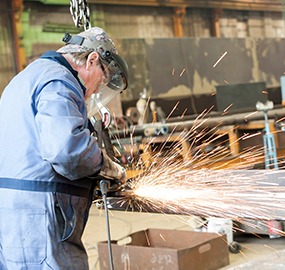 Our services range from complete rig manufacturing, structural steel, machining and custom fabrication. With our Engineering, design and drafting team we ensure your vision will emerge effortlessly. Through the use of cutting edge technology, we are able to provide our customers with a superior product that will exceed their expectations. Since 1987, Ja‐Co Welding & Consulting Ltd has expanded to become one of the largest fabrication shops in the area. Our company places high value on a balanced work/home lifestyle by providing incentives and benefits that have been optimized to suit our employees and their families. We look forward to future growth by responding to the changing demands of our customers and industry standards.